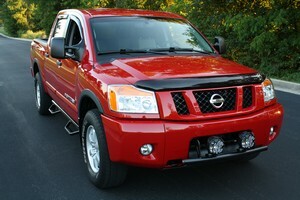 Nissan Titan Forum > Nissan Titan General Forums > Titan General Discussion > What did you do to your Titan Today? What did you do to your Titan Today? They have a thread like this on the Jeep Forum that I am a member of and it was a hit. So I just thought that I would make one here to see what people have been up to with their Titans. 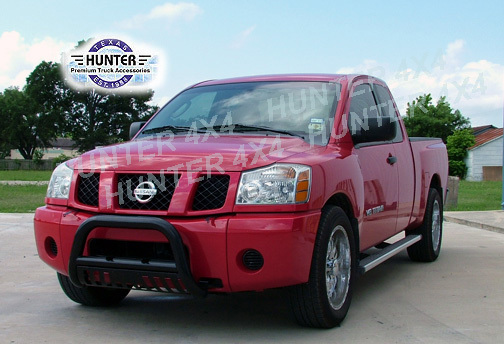 Today, I ordered a new Bull Bar off eBay, and I took the dealer decals off the tailgate. Re: What did you do to your Titan Today? '08 Cummins 2500 QC SWB H&S DeletedSOLD!!!!! After a trip to the mountains and back, I let it rest today! Pow ... ... ... ... ... ... ... ... ... ... ... ... ... .. .. .. . . Ding! 08 Pro4X with peeling clear coat. Looks terrible!! So long, Walrus (Wally). Forum legend. Friend. Gave him $71 of my hard earned money in gas. I washed it and also put the new Ohio plates on. Quick wash in the driveway. Got it all loaded for my South Dakota hunting trip. Covered all the leather with seat covers and laid down some scrap carpet on the inside also-dont need gumbo and cow sh!t in there! I rode around with the windows down and the stereo up. 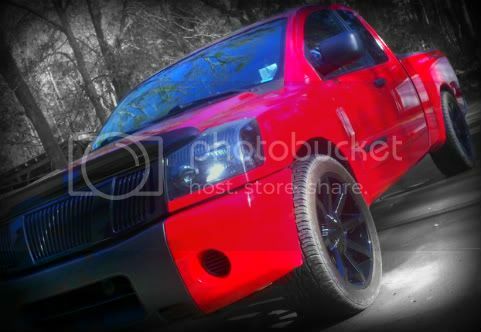 I love cruising in this truck! MeatBeaterWhore™ TwinTwit #1 "The Big O" Maverick!